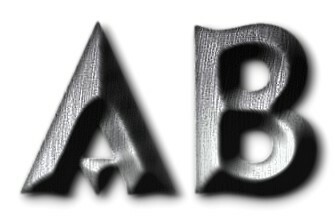 It's a collection of free online bevel text effect generators developed to create the best 3D beveled letters and words. These online beveled logo generator softwares offer more than 450 font faces and other cool design options, so you can easily generate a high quality bevel text logo to your interface, header, banner, title, cover, slogan, page, blog, site, app, game, party, event, Facebook, Twitter, social image, wallpaper, graphic design, image composition or whatever you want. It's highly recommended you visit the page that has a special list with our free 3D Online Logo Generator apps. All online logo creators gathered there have at least one cool logo image example, so it will be easy for you to choose the best online logo design tool to produce a graphic as you want.